One of the best ways to utilize a large space in an office is to create partitions. Not only it helps in adjusting a growing number of employees but add to the aesthetics of the office as well. The latter condition turns out to be true only if the partitions are designed and installed efficiently. For this purpose, there can be no better option than contacting JK Ceilings. We are known for top quality services for office partitions, Leeds. Why Choose Us for Office Partitions, Leeds? Our office partition, Leeds services are conducted under the supervision of an expert. It is their duty to take care of each and every aspect of the project under completion. Right from designing the partitions to their installation, they supervise each process. Our crew members are also highly-skilled and experienced. They are selected after a comprehensive screening process. Another factor that sets us apart from other companies that offer services for office partition, Leeds is our reasonable rates. No other company matches us in terms of services and rates. Therefore, we are known as one of the most reliable companies in Leeds for office partition services. 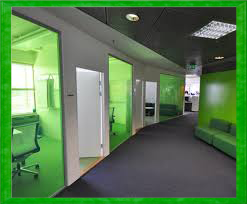 At JK Ceilings, we can deal with all type of office partitions. 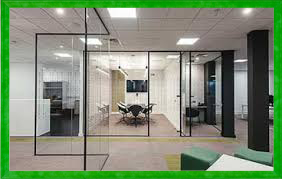 Whether you are looking to have a glass partitions for your office or metal stud partitions all you have to do is to contact us. The latter is not only effective in the optimal use of space but help in reducing noise as well. Therefore, they are termed suitable for offices. We are dedicated and committed to excellence; hence, you can confidently rely on us for quality office partitions made using a diverse range of materials. We use only highest-grade materials for the creation of office partitions. This adds to their lifespan and makes it a cost-effective choice for our clients. They will not be required to spend money on its maintenance and repair every now and then because of their sturdy built. Moreover, we use state of the art supplies and tools for the installation. This ensures the project is completed before the due date and you can resume your office operations without any major halt. With office partitions in place, there will be no wastage of space as it will be used optimally. Office partitions offer enhanced privacy. They are noise resistant. Hence, you can conduct interviews and hold conferences in your office without disturbing employees working there. Quality and attractive office partitions add a touch of modernity and class to a workplace. For more information on office partitions, Leeds or to get a free quote, give us a call at 0113 347 0639.